William HOLMES of Spilsby, Lincs. Co-executor of the Will of his father-in-law John Shaw (1896). Cause of death: Pulmonary abscess, injury to the ribs, illness lasting 3 months, after falling off a wall. "Will of Charles Casimir, late of Mudgee, Builder. THIS IS THE LAST WILL AND TESTAMENT of me Charles Casimir of Mudgee in the State of New South Wales Builder and Contractor. I give devise and bequeath all my real and personal estate and wheresoever situate including my interest in the form of Stoddart and Casimir to my wife Janet Casimir absolutely and I hereby appoint the said Janet Casimir sole Executrix of this my Will Hereby revoking all Wills by me at any time heretofore made and declaring this only to be my last Will and Testament. I have hereunto set my hand this sixth day of July in the year One thousand nine hundred and ten. CHARLES CASIMIR Signed Published and Declared by the said Testator as and for his last Will and Testament in our presence who in his presence and in the presence of each other have hereunto at his request subscribed our names as Witnesses:— Herbt. 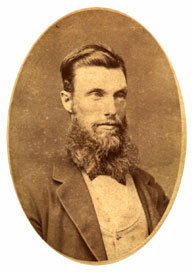 Clarke, Solicitor, Mudgee, Claude Phillimore, Mudgee. At St. John's Church, Mudgee, by the Rev. Canon Bentzen, Charles, eldest son of the late Louis Casimer, Mudgee, to Janet, eldest and only daughter of John Shaw, Mudgee, and formerly of Wallerawang. 1 NSW Registry BDM (marriages), copy of marriage certificate issued 25 Nov 1988. 2 The Sydney Morning Herald, Monday, 4 Feb 1884. 4 NSW Registry BDM (deaths), copy of death certificate issued 25 Oct 1988. 6 New South Wales Will Books, 1800-1952, no. 51301. 7 NSW Registry BDM (births), Entry 8321, copy issued 6 Nov 1991. 8 The Sydney Morning Herald, Thursday, 2 Jul 1953. 9 Max Casimir, grandson of the deceased.